The entire world now knows what crass bureaucratic stupidity, feeble political direction, and witless press coverage did to Flint. We have demonstrated that Flint’s politicians and financial managers made terrible decisions in an effort to replace plunging tax revenue, which had reached statutory and constitutional rate limitations. The foremost source of revenue expanded was Flint’s water & sewerage charges. Annual free cash flow from water & sewerage charges was increased from nil to $ 28.7 million (bottoms of page 3-13) over the decade from 2004 [FY2005 CAFR, large file] to 2014 [FY2015 CAFR, large file]. The big jump in free cash flow from water & sewerage charges occurred in 2014 as a consequence of Flint River sourcing. Flint only had to pay the DW&SD pirates for water up to April 25th in 2014. Annual free cash flow from water & sewerage charges in 2013 [FY 2014 CAFR, large file] was only $ 9.4 million when they paid DW&SD all year. Why Flint resourced to the Flint River in one number: $ 19.3 million more in cash flow. And most of this $ 19.3 million is now gone with the return to DW&SD water. We will know how much gone later this year. That $ 28.7 million in free cash flow during 2014 was a 77% markup on actual Flint water & sewerage costs. Only $ 7 million of it was used for infrastructure, mostly to prepare for the now abandoned Flint River sourcing. Only $ 2 million of it was used to pay off water & sewerage debt. The remaining $ 18.5 million was used by other Flint city departments and applied to other Flint obligations. That $ 18.5 million dollars became 22% of all Flint City revenues. Greater than any other source of revenue, greater than income tax revenue, greater than property tax revenue, greater than State revenue sharing, greater than Federal revenue sharing. That $ 28.7 million dollars was the only reason Flint was able to exit emergency management. That and a $ 65.3 million theft from restatement of Flint’s water and sewerage enterprise fund net positions, from their 2014 CAFR to their 2015 CAFR (compare ending 2014 to beginning 2015 net positions on the bottom of pages 3-13). Would the financial reorganization of Flint under its popularly elected politicians and emergency managers have worked? The backstory here is fairly straightforward and few disagree with the underlying facts. The City of Flint caromed from disaster to disaster from 1980 on. GM closed plants. Unemployment spiked. Population declined. Incomes cratered. Poverty skyrocketed. Crime exploded. Property values collapsed, even before the national decline in 2008. Residents abandoned 20% of all housing units in the city. Tax revenues plunged, despite tax rates being raised to their state maximum limits. Flint’s operating expenses continued to rise. Flint politicians could not balance their budget. Governor Engler appointed the first Flint emergency manager in 2002. Ed Kurtz ‘fixes’ Flint’s budget imbalances with relatively small adjustments to their costs. Flint returns to local control and by 2006 local politicians have ‘unfixed’ Ed Kurtz’s adjustments. Duly elected Flint politicians raise taxes to no avail. Then they increase water & sewerage charges by 70% in two steps. Flint residents stop paying their water bills. Governor Snyder appoints a succession of emergency managers. They cut costs some, but raise water & sewerage charges even more. Monthly average water & sewerage charges rise from $ 30 in 2004 to $ 140 in 2014. Highest in the United States. 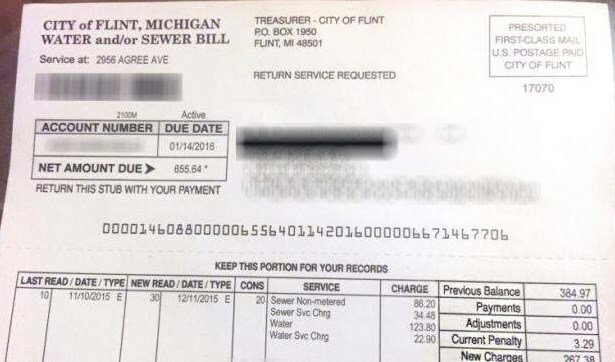 At this point, someone should have asked if Flint residents had the wherewithal to pay the higher water & sewerage charges, on top of their maxed out taxes. The Headlee Amendment to our Constitution and statutory limits on property taxes are a recognition that there is only so much money that can be extracted from taxpayers. Evading these limits by boosting fees to replace declining tax revenues does not increase the resources taxpayers have to pay. Attempting to extract revenue from poor taxpayers beyond their ability to pay may cosmetically fix a city’s balance sheet, but it only creates a greater reckoning in the future. 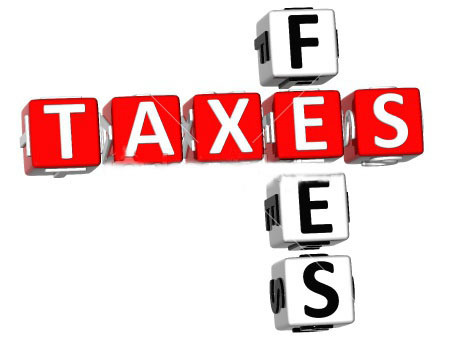 Taxes and fees go unpaid, property values plummet, crime rises. Flint’s situation today. Consider the 2014 Flint resident per capita income data as shown on page 6-16 of their FY 2015 CAFR [large file, covering 2014]. Flint City income tax data yields a per capita income of $ 3,448. Flint’s average household size is 2.45, so this means the average annual household cash income in Flint is $ 8,448. Those $ 140 average monthly water & sewerage bills amount to $ 1,680 per year, 20% of the average annual Flint household income. Median gross rent in Flint during 2014 was $ 684 per month [Census AFF, enter ‘Flint city’ and navigate to 2014 ‘Selected….”], $ 8,208 per year. Unless that average Flint household receives a lot in HUD Section 8 vouchers and SNAP benefits, they cannot pay their rent, food and water bills. HUD Section 8 vouchers require a household to pay 30% of their income in rent, so that average household is still on the hook for $ 2,534 in rent. Add in the $ 1,680 water bill and the combined cost is $ 4,214, 50% of their income. This leaves $ 4,234 for the entire Section 8 household, for an entire year. Now consider electricity and heating costs in Flint. An average Michigan electrical bill is $ 94.52 per month, $ 1,134 per year. The average Consumer’s natural gas bill is $ 103 per month, $ 1,236 per year. Note that these costs are substantially less than the $ 1,680 annual household Flint water & sewerage bill. Electricity and heating together cost $ 2,370 per year. Subtract that from the $ 4,234 in household income remaining after rent and water bills and you wind up with $ 1,864 in annual cash for 2.45 persons, $ 761 per person, $ 63 per person per month. $ 2.08 per person, per day! This $ 2.08 per day is an average, so half of Flint’s residents will have less, much less. Less than zero. Flint residents simply cannot support the demands being placed upon them by their City government as it is presently configured. Emergency managers may have cosmetically balanced Flint’s books, but there is simply no way that Flint’s residents can pay the taxes, charges, and fees imposed. Those taxes, charges, and fees drive down property values and force businesses – notably GM – out of the city. Flint revenues are in a death spiral. Even water & sewerage revenues are collapsing as residents conserve. So Flint’s books were never really balanced. Emergency financial management failed. No one considered the Dismal Science. You cannot get blood out of a turnip. Flint’s water fiasco wasn’t racism, just reckless disregard for economics. A cautionary tale for wealthier communities. 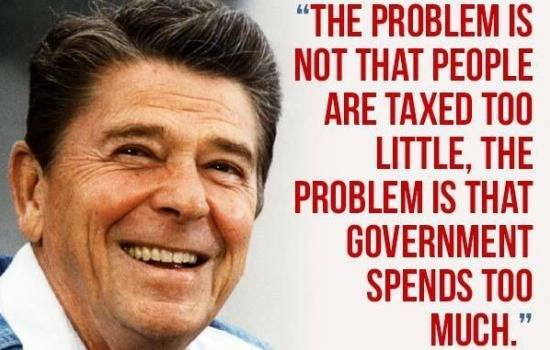 As government budgets grow unchecked, they eventually overwhelm the capacity of ever wealthier residents to pay taxes. Then the really bad decisions happen. This just happens to occur first in poor communities. There are really only two possible solutions here: a genuine municipal bankruptcy which radically reduces the costs and services of Flint’s city government to the level its taxpayers can support, or state subsidies forever. State subsidies are a nonstarter; every municipal politician across Michigan will demand their pro rata equivalency. Flint should have been downsized to the tax revenue capacity of its residents. Only bankruptcy can match a city’s expenses to its achievable revenues. After Michigan spends billions to fix Flint water quality, the calamitous finances of Flint will resurface. Back to square one. Next time do it right. You cannot circumvent the Dismal Science. If Flint’s water fund becomes insolvent, the general fund would likely run out of cash within a month, Lundquist told The News after her committee testimony. Flint replaced declining tax revenue with outrageous water & sewerage charges, so insolvency of their water fund immediately triggers insolvency of their other funds. The result of emergency management in Flint would have been half the remaining population leaving the City, before the water fiasco hit. This would have vacated about half the remaining housing units as well. This would have left Flint with a population of around 50,000 in 20,000 housing units. 30,000 total vacant housing units, when you add in their current 12,000 vacant housing units. Can't exactly prove this because the income distribution in Flint is Weibull (log normal), not Gaussian (normal). But this is a close approximation. Essentially, those with per capita incomes below the average would have to move out of Flint. The way HUD Section 8 is structured, the Feds pick up their higher rents in the suburbs and the voucher recipients pocket their water bill savings from escaping Flint. All bets are off now that the State is pouring money into Flint ($ 287 million dedicated in FYs 2016 & 2017 so far). After the State money gusher subsides, Flint's population will undergo a dramatic decline. Same situation is playing out in Detroit after its pseudo bankruptcy, but there are no reliable statistics to prove it. Even wealthier communities here in Michigan avoided necessary bankruptcy solutions when TeaPartiers joined hands with those opposing them in late 2012 by creating pension obligation bonds "with no vote of the people required" (IF younger people were thrown out of defined benefit plans). We bailed out those sitting on (or about to be) nice warm beaches right now, the Big 3 and now the two most iconic cities in Michigan failed policy culture before '67 happened all over again. Again, it's pretty hard to argue how bankruptcy would've fixed anything 'now' due to the fact that any serous 'conservative-led effort 'then' would have resulted in what happened at Right to Work seeming tame by comparison. As offered, Flint's historic water poisoning has been a result of BOTH sides NOT willing to literally risk their lives opposing those who could perform the same simple bankruptcy based math all too well. Our children weren't worth it when the time came to clear the tables/start over and that is exactly how the history books will read. The fact that change couldn't even be forced within the Republican Party itself after children were being poisoned?...that chapter will be written in this 2016 election season 'change' (that wasn't).